Since the initial storm cleared from Hurricane Irma through Hurricane Maria, Future Technologies' team has been providing End to End disaster recovery support for the Caribbean region. Future Technologies coordinated supply chain procurement and kitting services for microwave and cellular solutions to help meet the recovery efforts. Future Technologies also provided real-time project management and engineering support to help our customer find solutions to problems as they were uncovered. In addition to supply chain and project management support, Future Technologies deployed up to 12 trained tower engineers (Microwave & Cellular) to market to help with the recovery efforts. 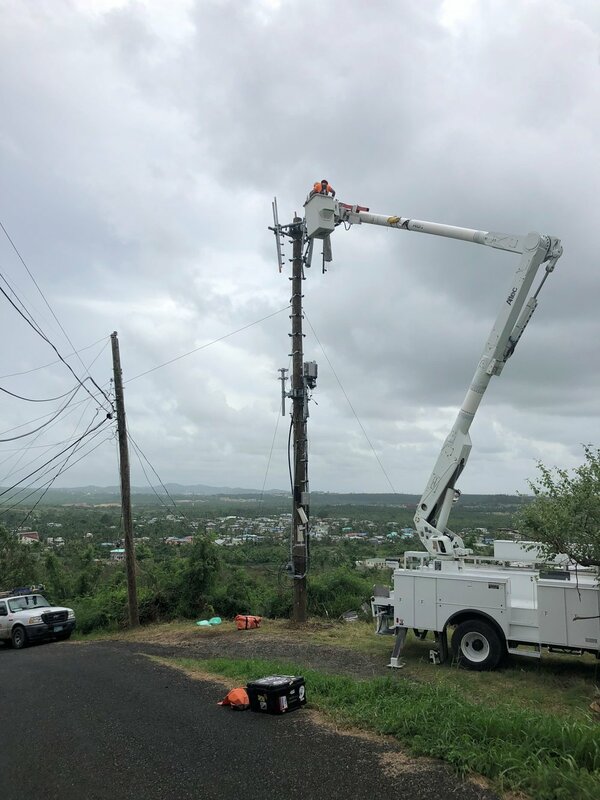 Through the hard work of our team members we were able to work with local cellular providers, government agencies, and utility companies to get the critical telecom infrastructure back up and into service. Without the hard work and resiliency of these field employees, these efforts would have not been possible.